This page describes building an Olduino board and the CPU board to go with it. It’s a work in progress and comments are welcome. 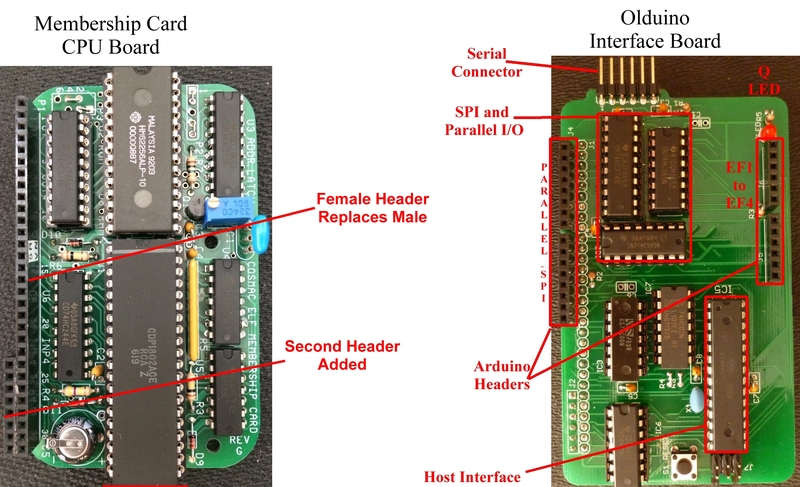 Build the membership card CPU board with a female header for the 30 pin connector instead of the male header supplied. Build the Membership Card front panel with male headers for the 30 pin connector instead of the molex supplied. Test the Membership Card and Front Panel as per usual. Attach and wire the second female header to the Membership Card CPU board. Build the Olduino board itself. Test the olduino board and CPU card together.